Dig it, Groove-ophiles! 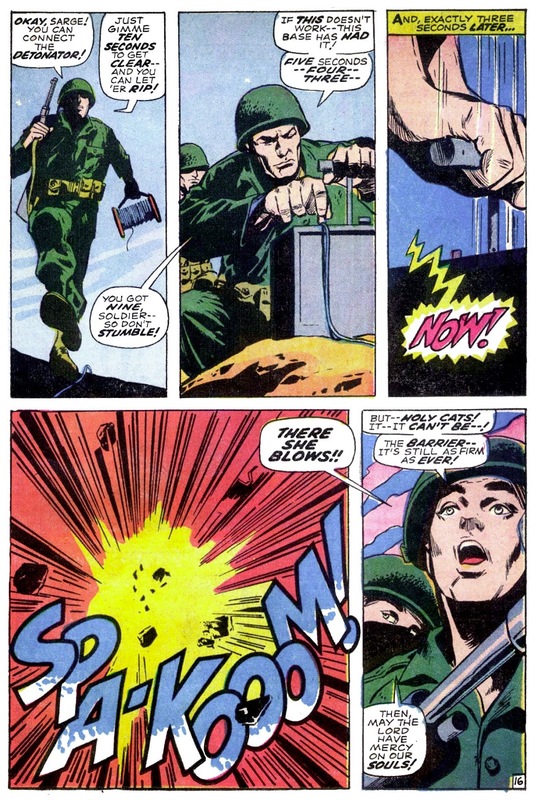 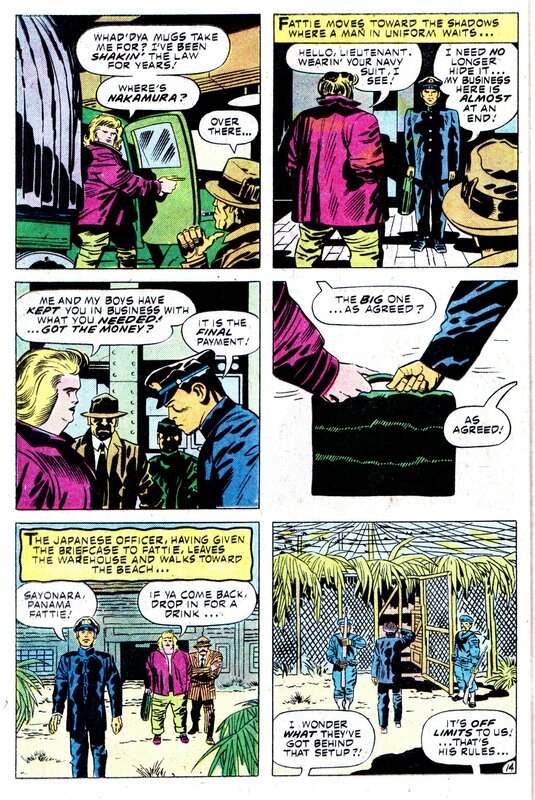 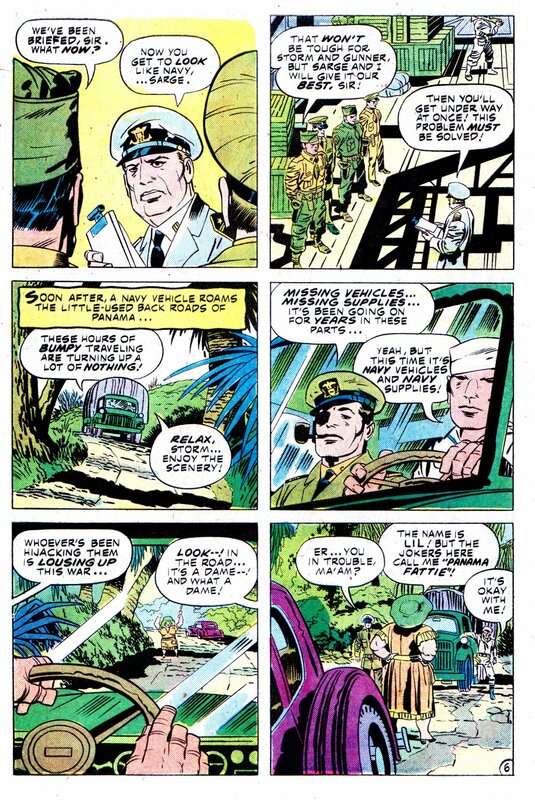 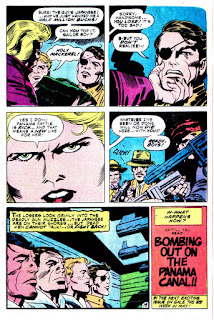 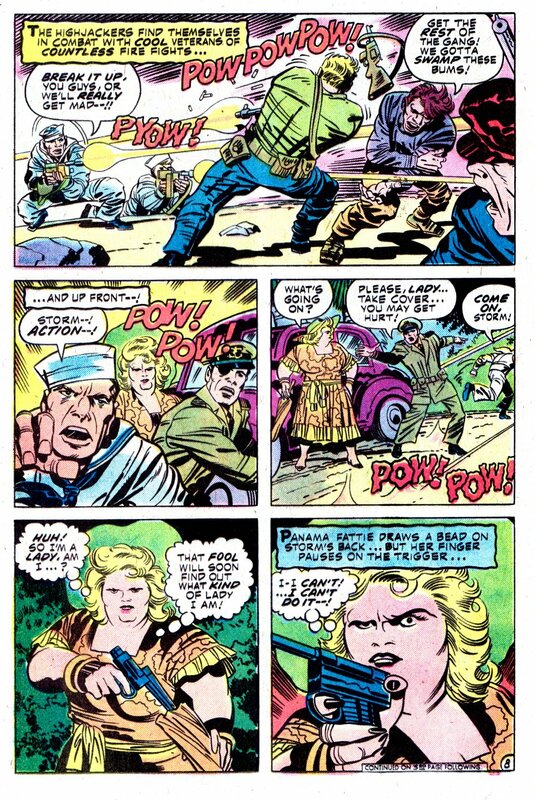 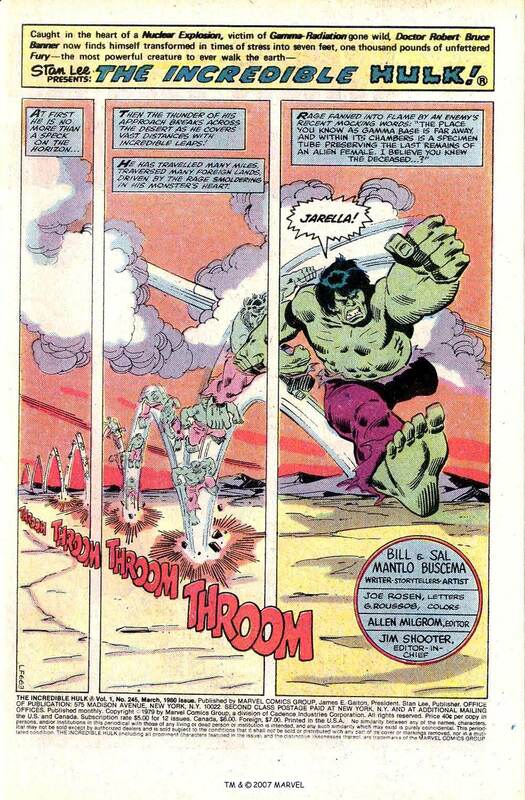 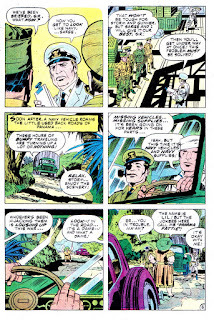 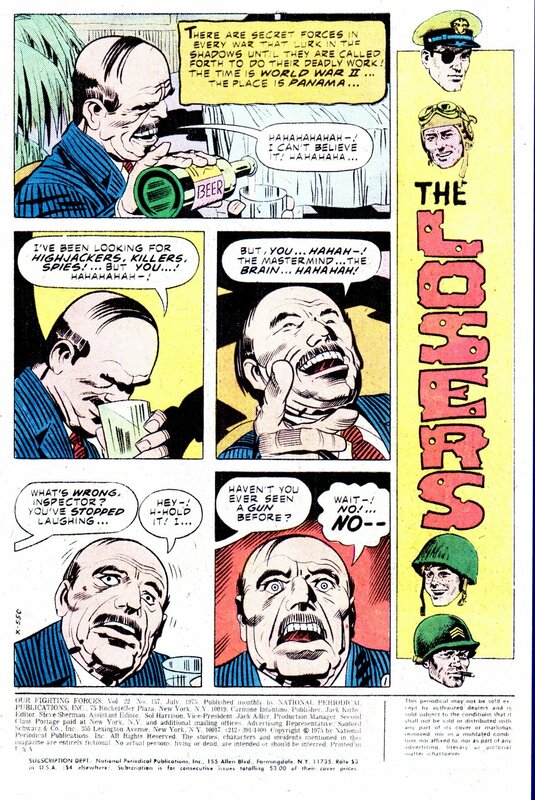 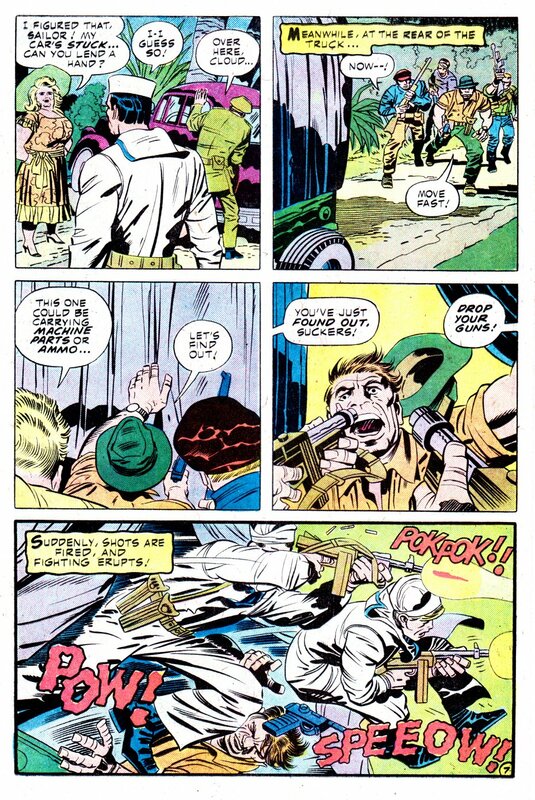 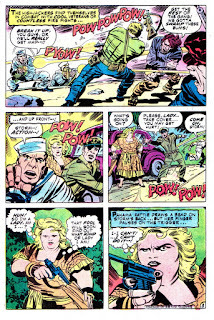 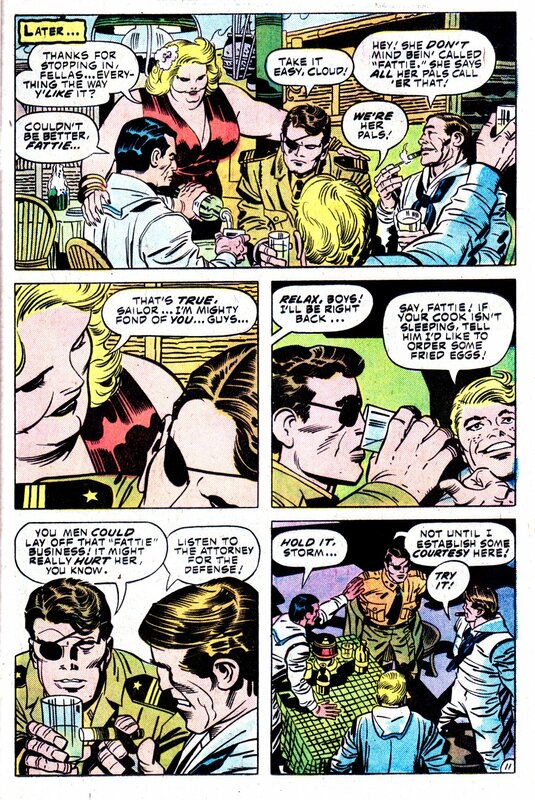 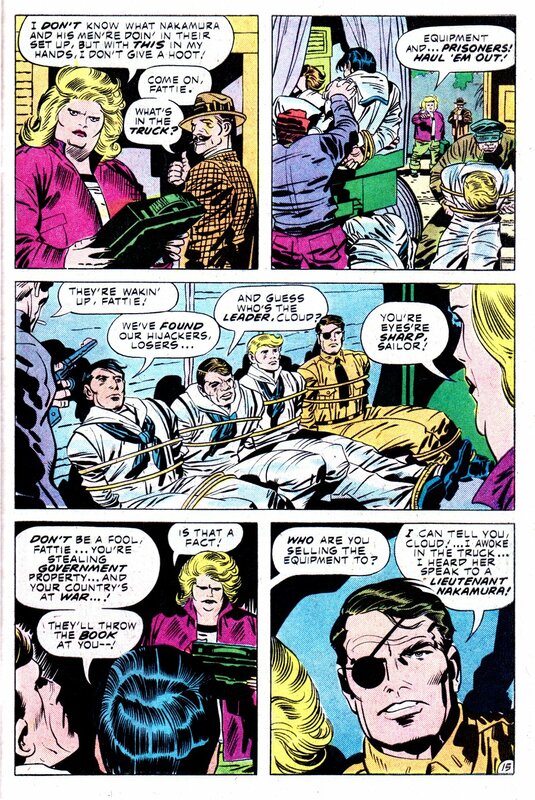 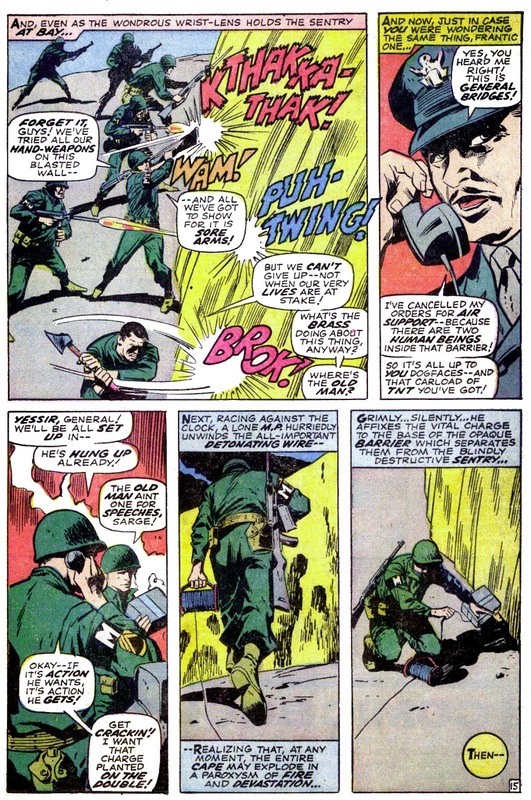 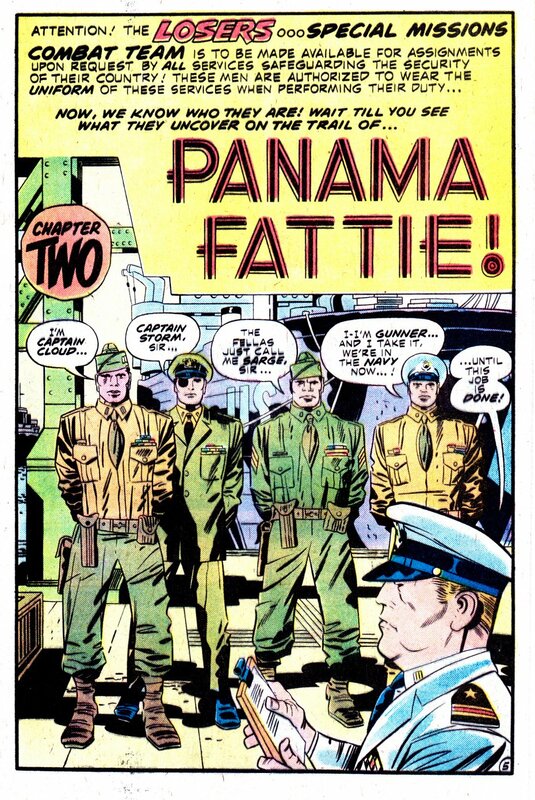 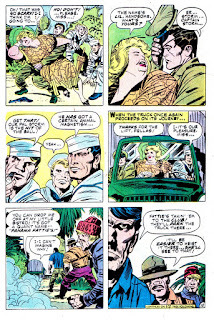 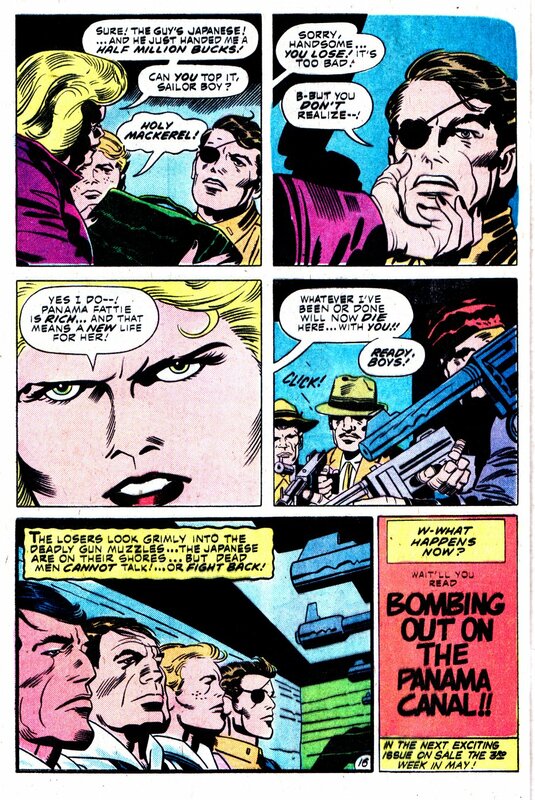 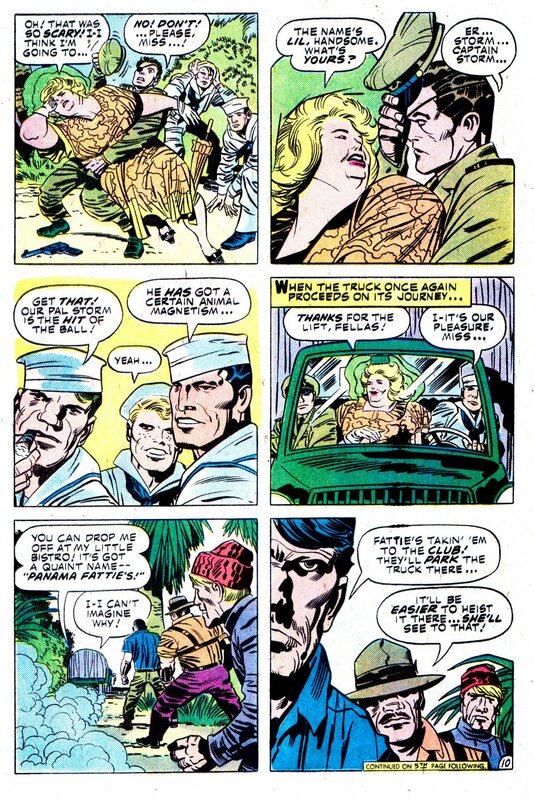 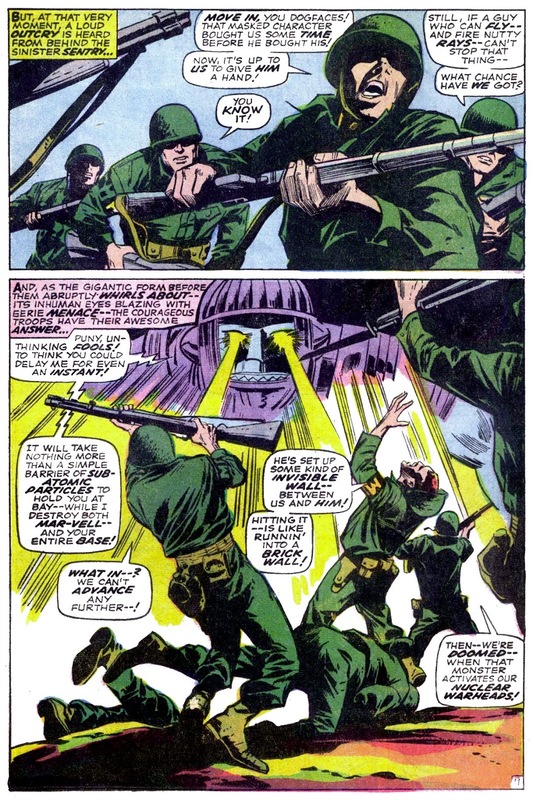 Here's part one of Jack Kirby's only two-part Losers story from Our Fighting Forces #157 (April 1975). 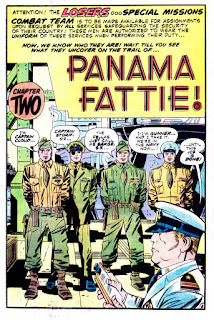 "Panama Fattie" might not be the nicest name for a lady (and she'd tell you she's no lady! 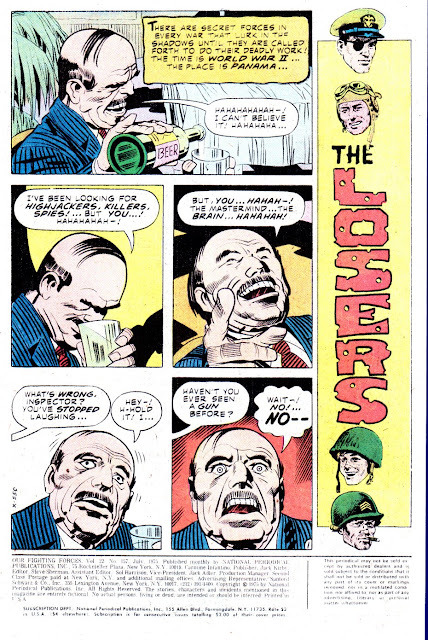 ), but the Panama bar owner sure made for a memorable character. 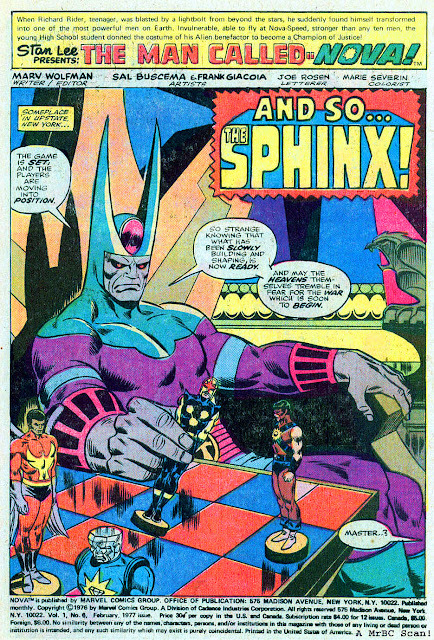 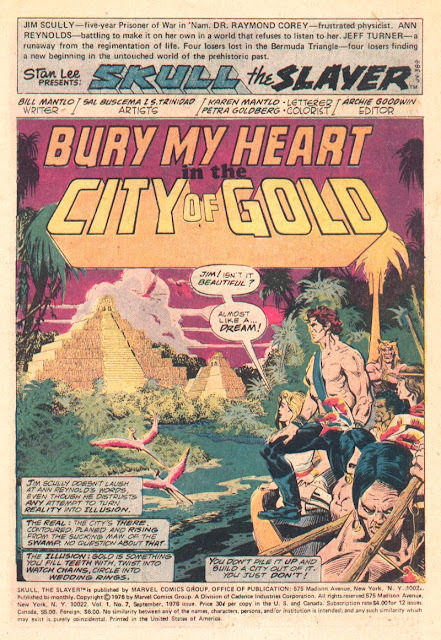 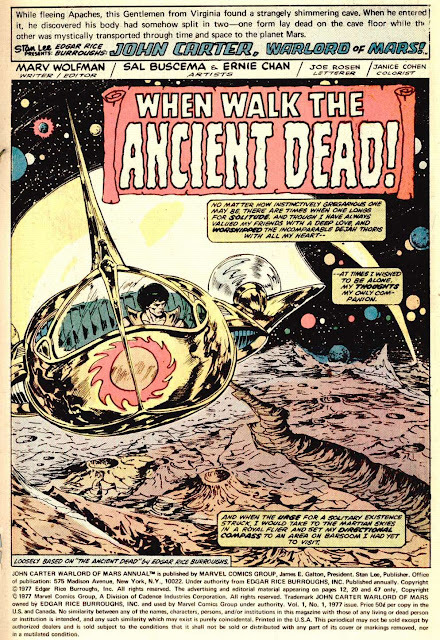 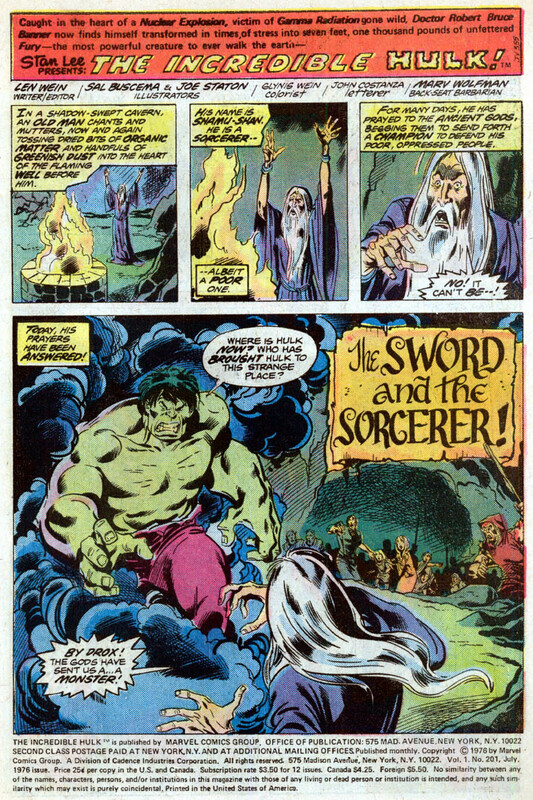 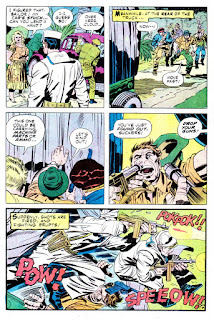 Lots of atmosphere and, of course, lots of action from Jack Kirby and Mike Royer make for one rip-roaring comic if ya ask Ol' Groove! Greetings, Groove-ophiles! 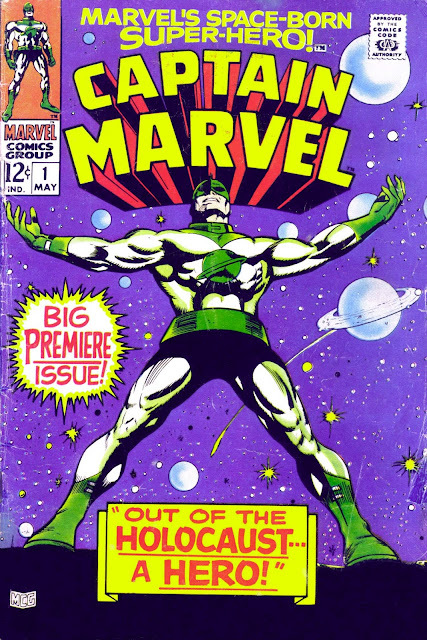 Today we're gonna check out Marvel Super-Heroes #14--er Captain Marvel #1! 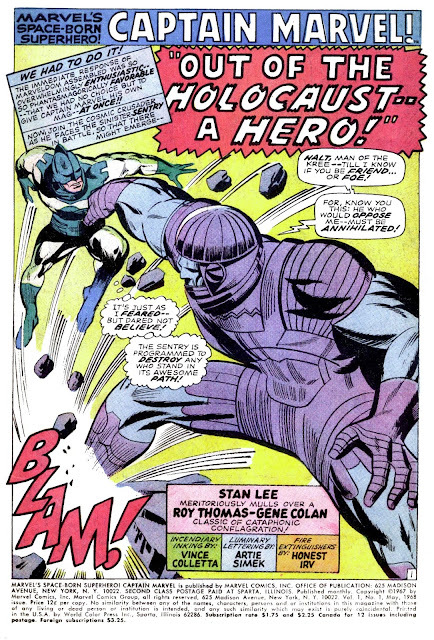 Yep, "Out of the Holocaust--a Hero!" 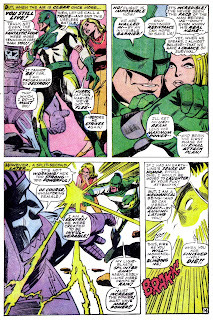 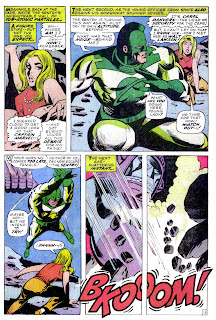 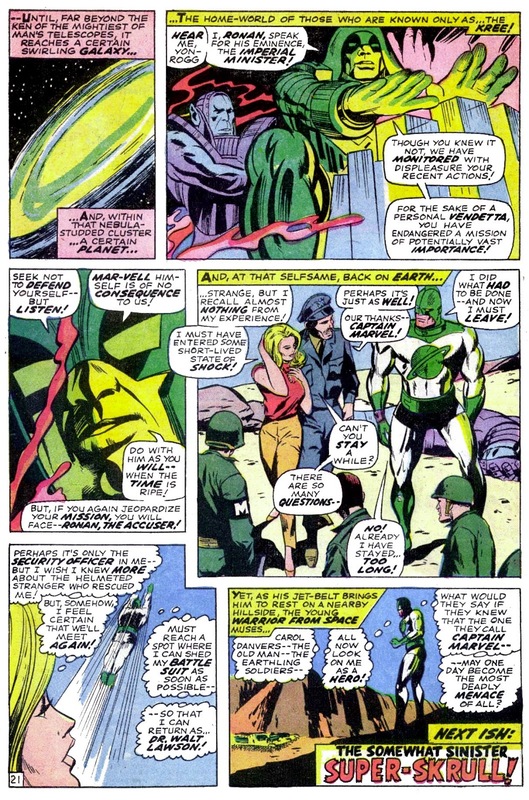 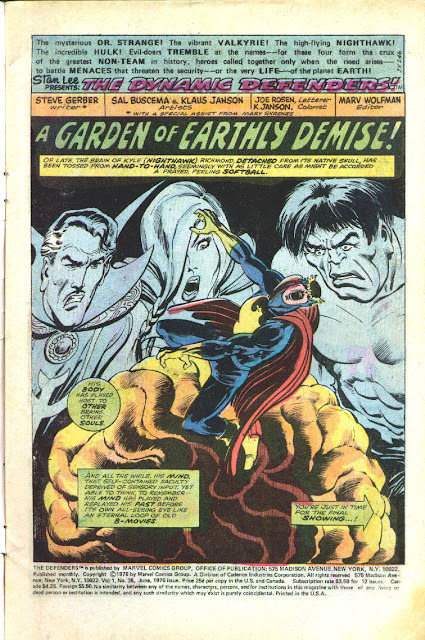 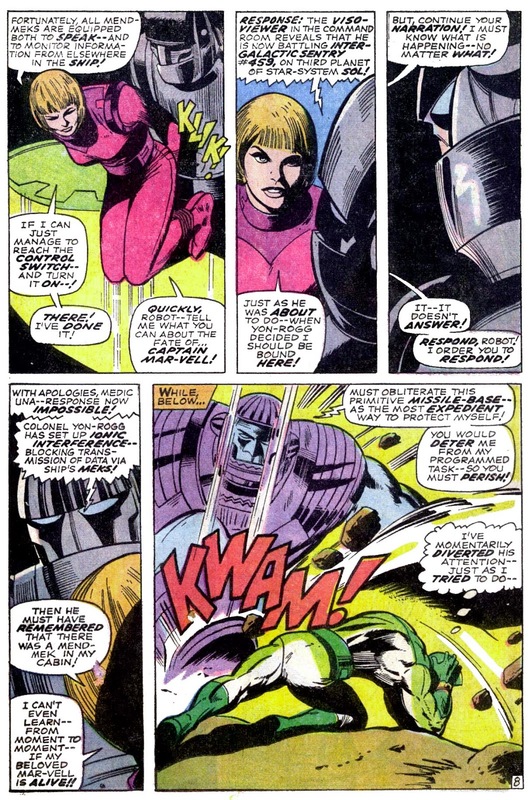 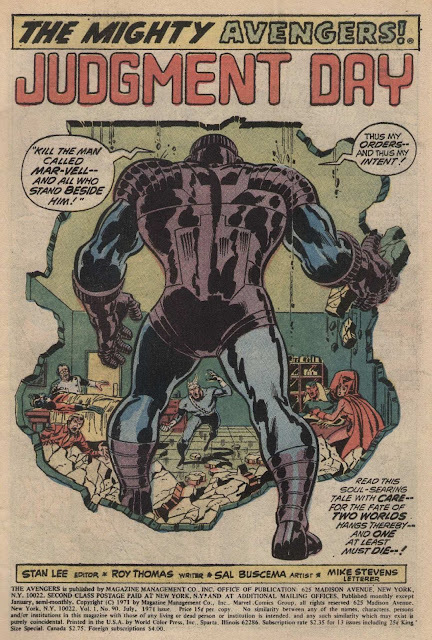 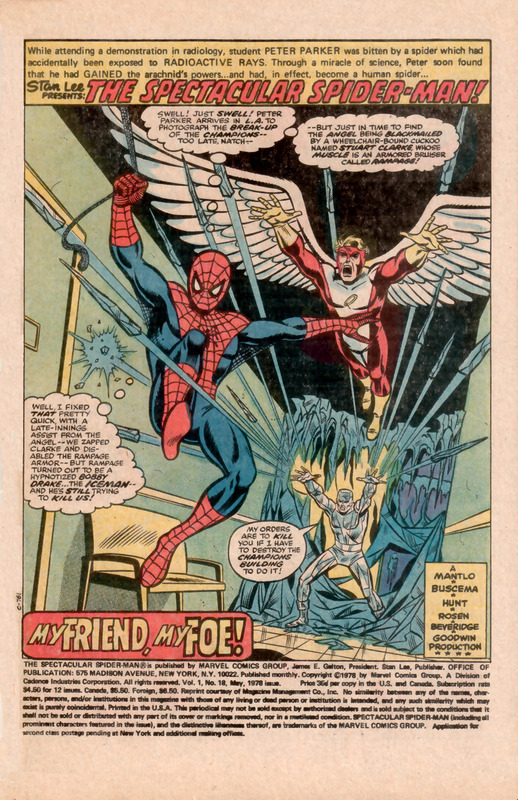 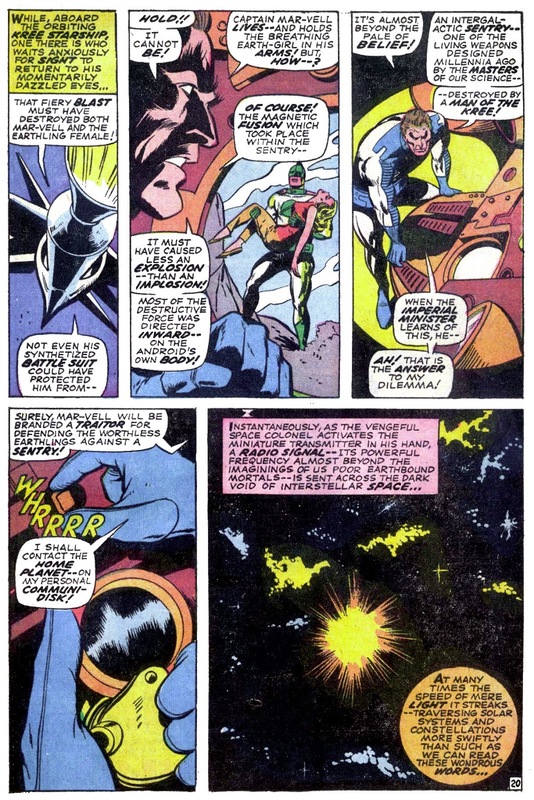 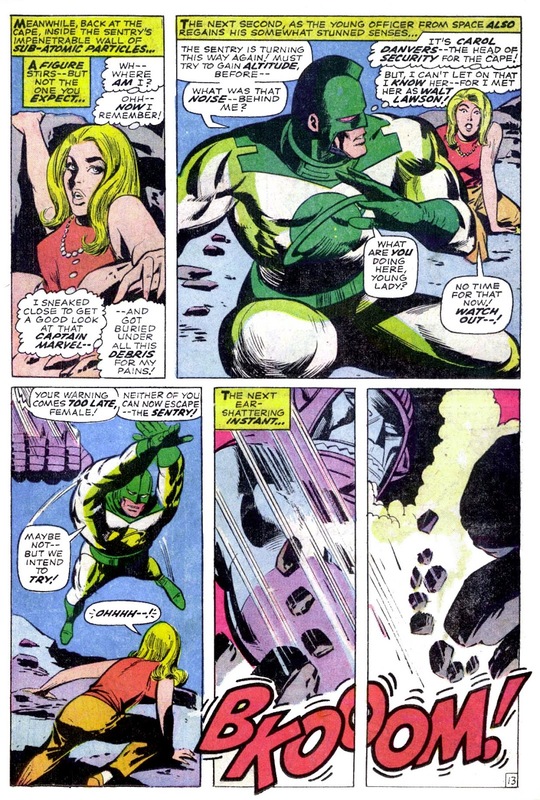 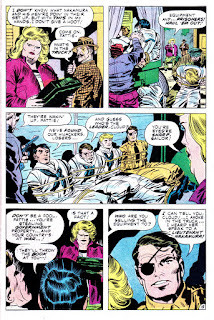 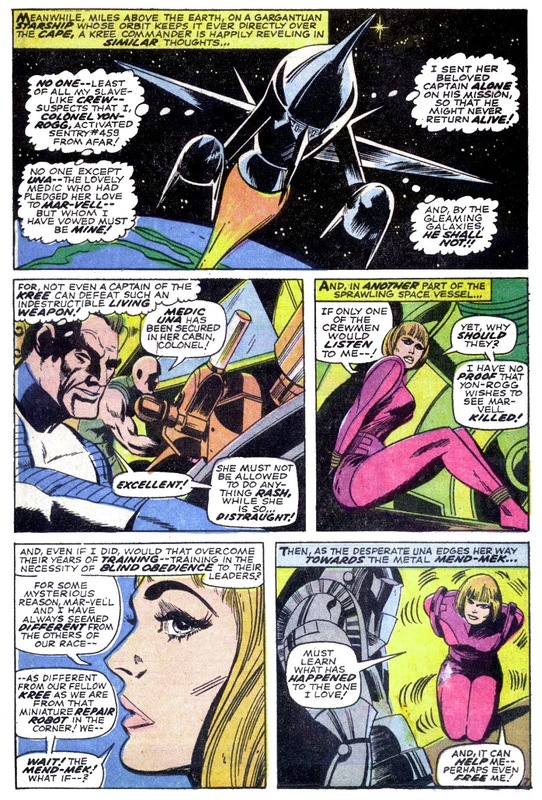 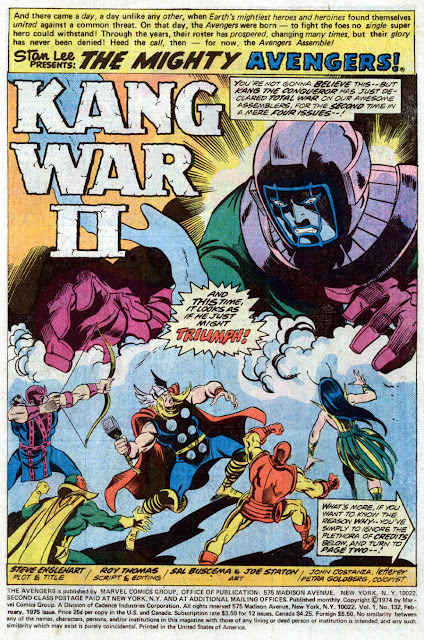 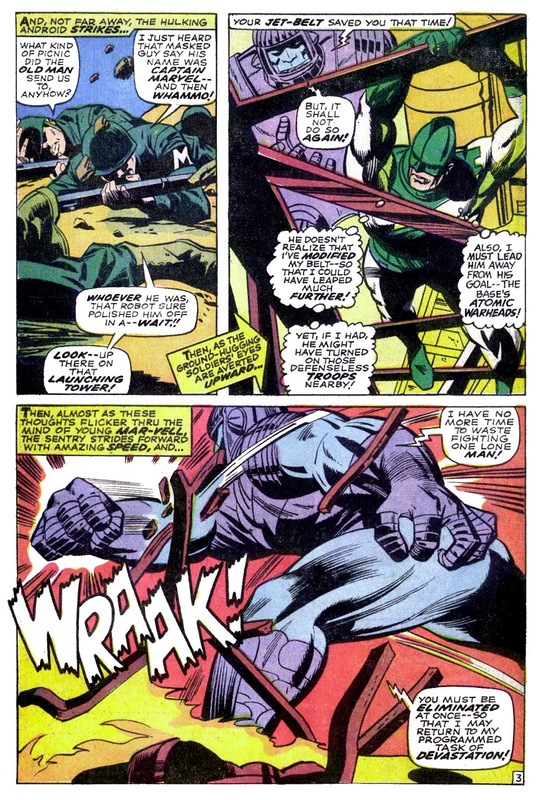 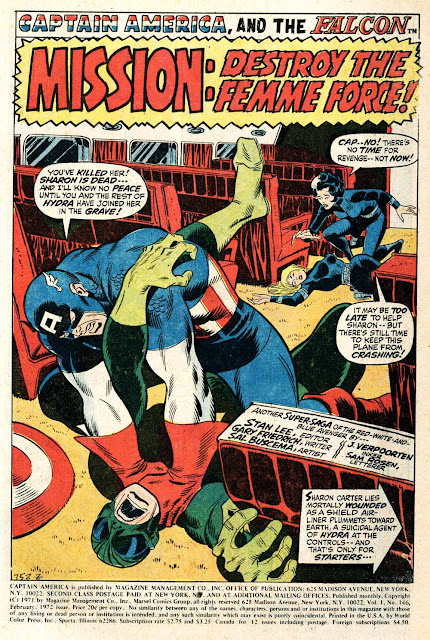 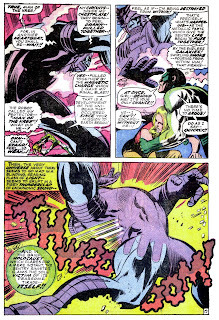 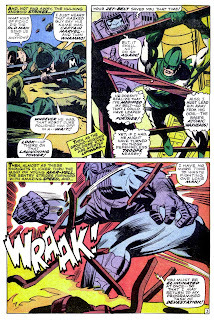 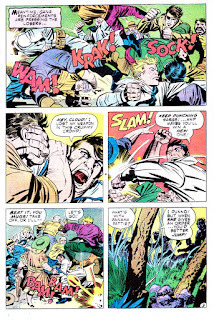 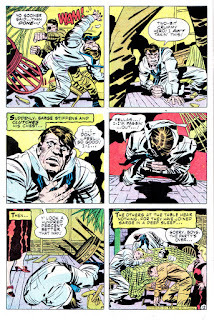 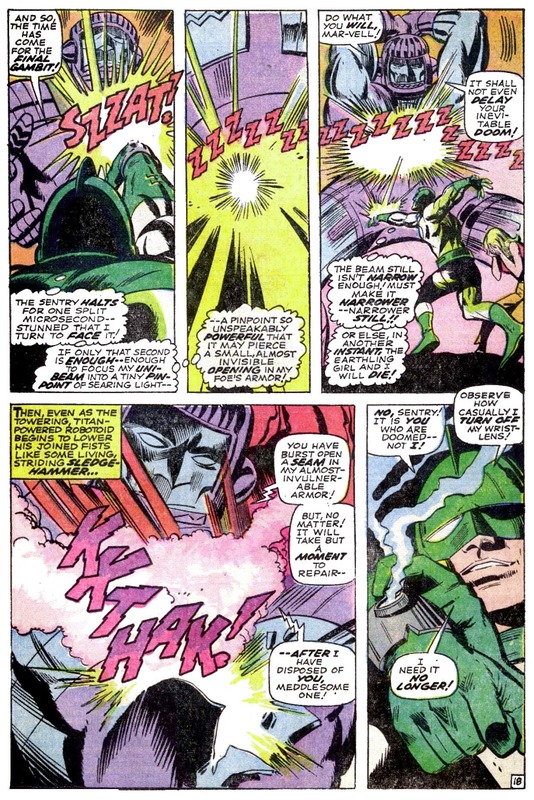 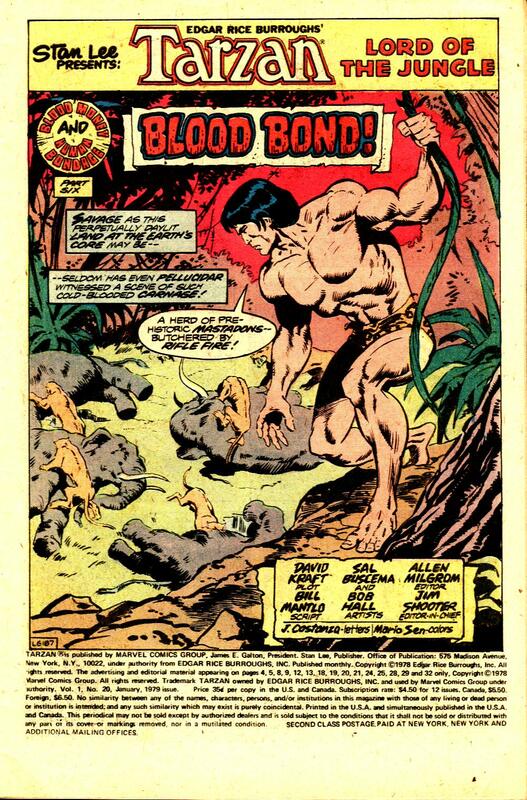 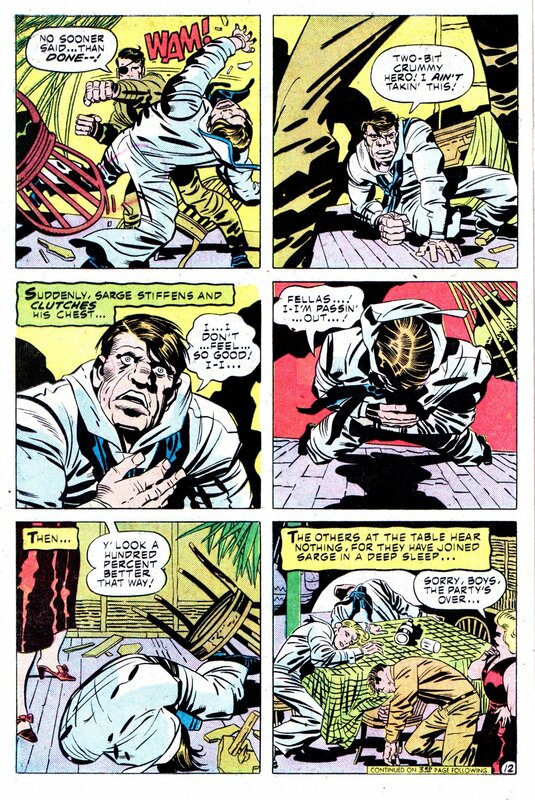 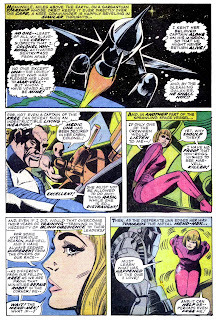 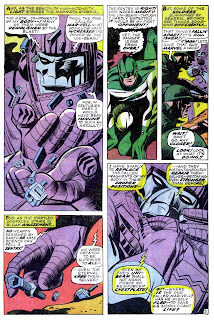 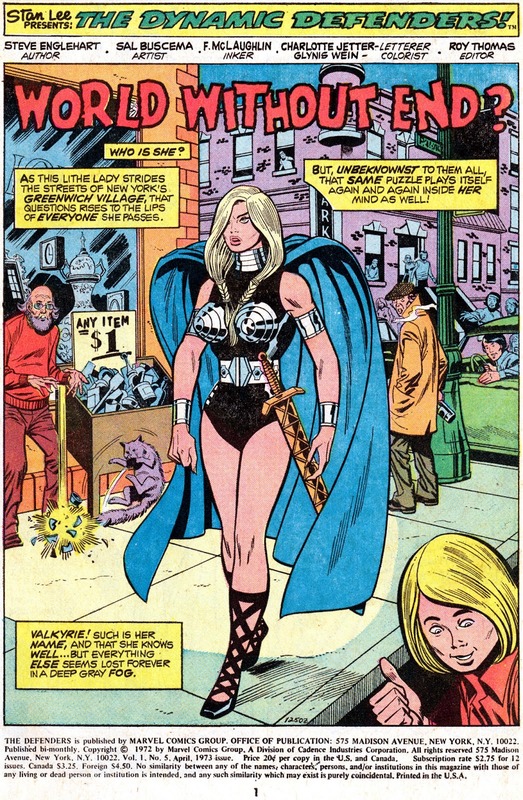 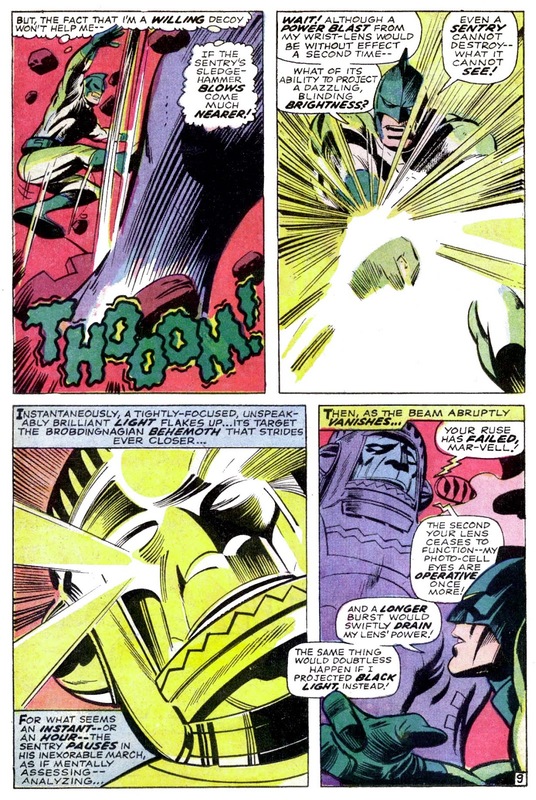 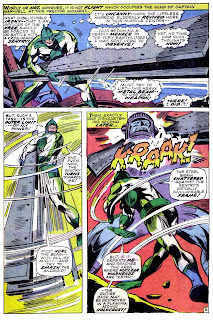 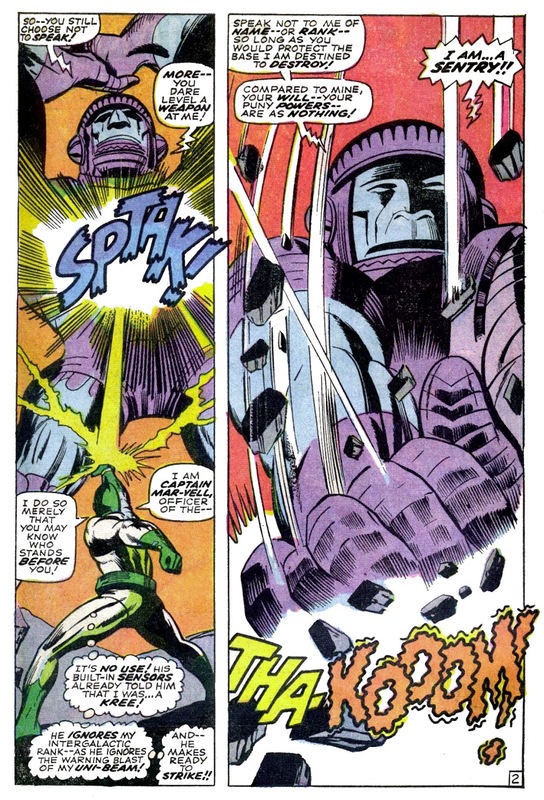 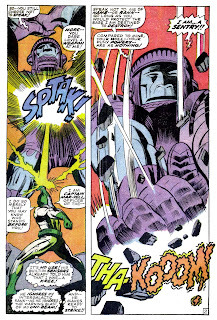 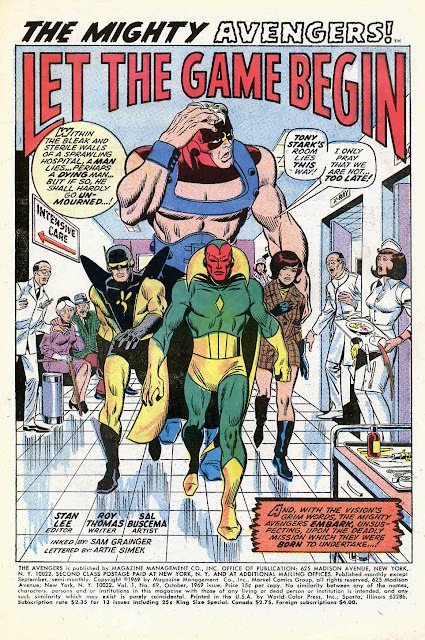 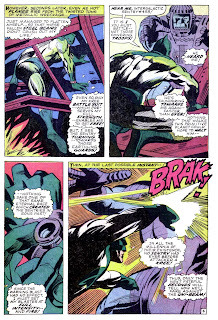 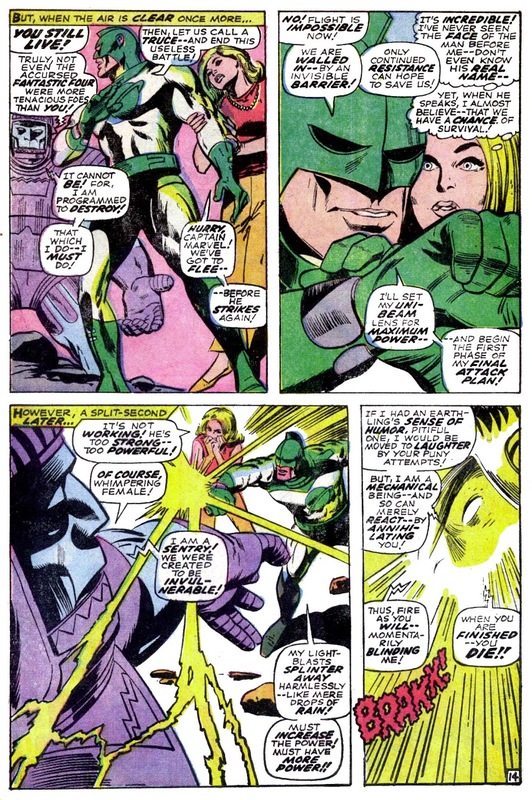 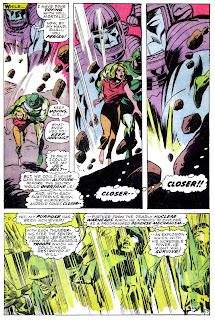 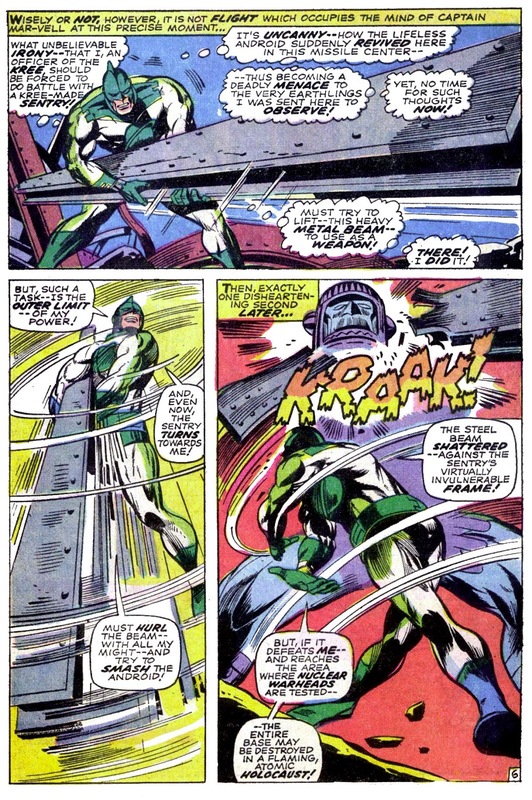 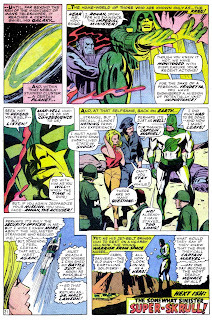 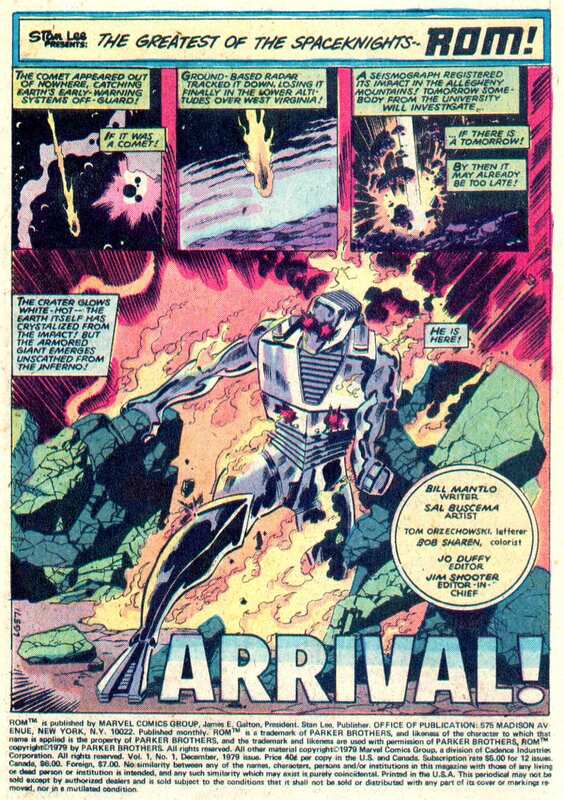 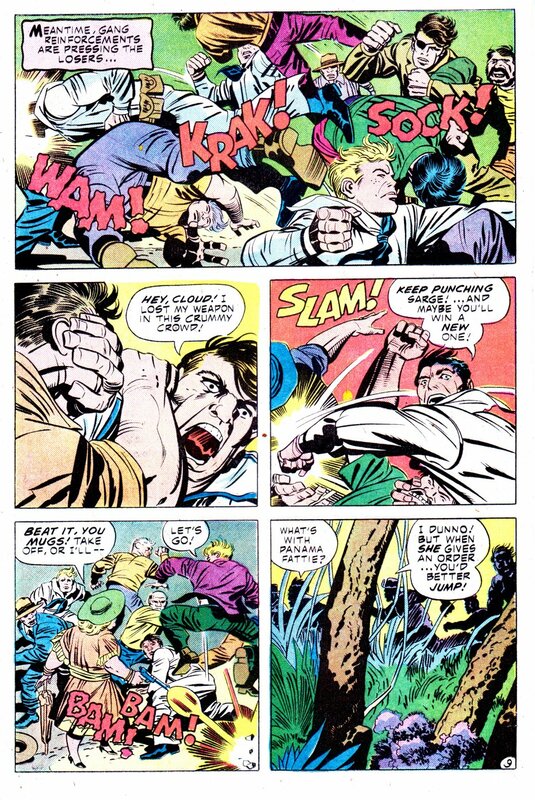 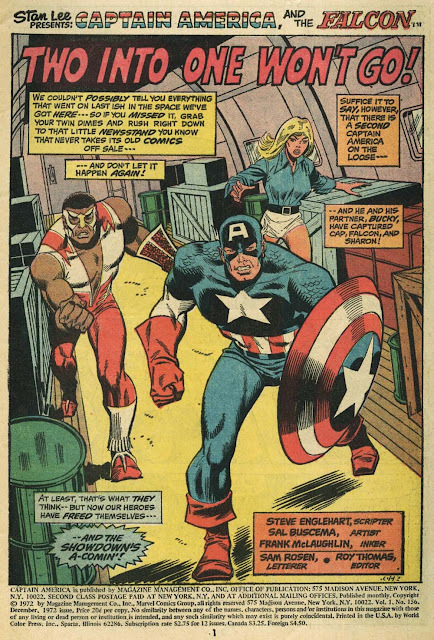 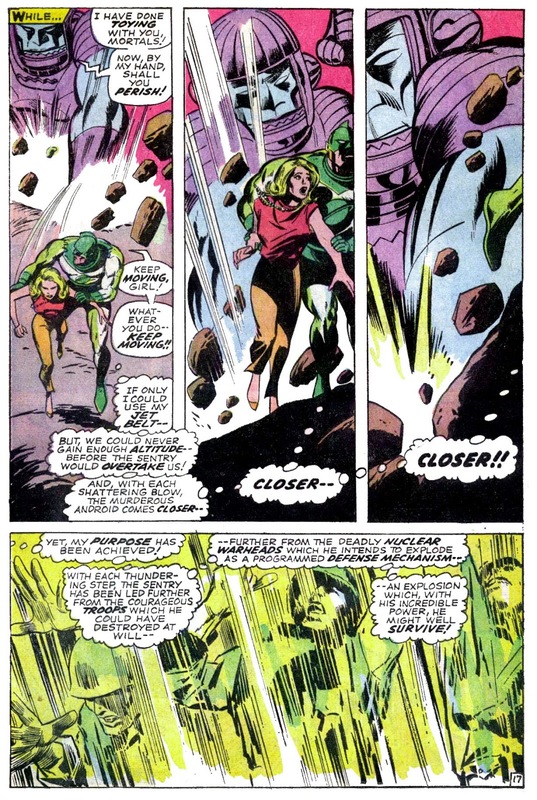 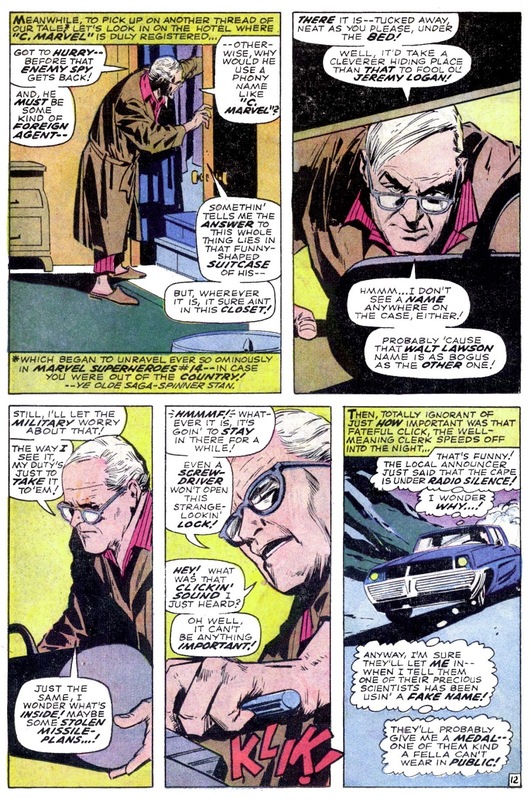 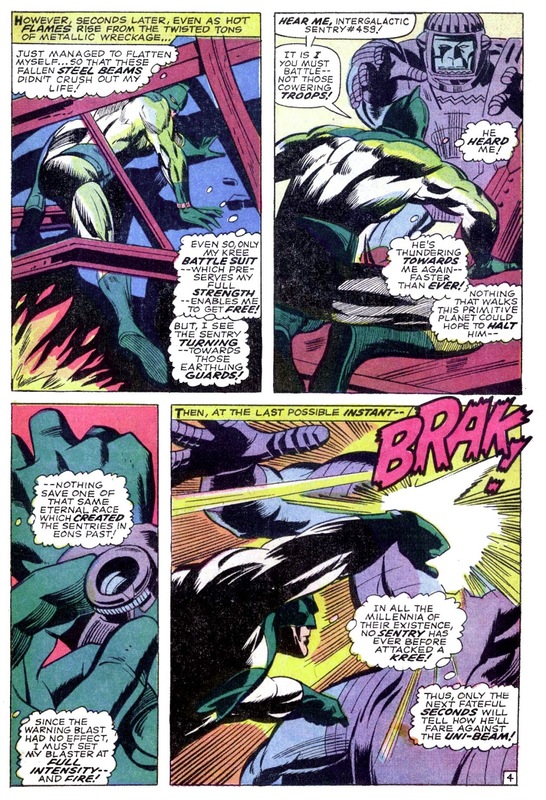 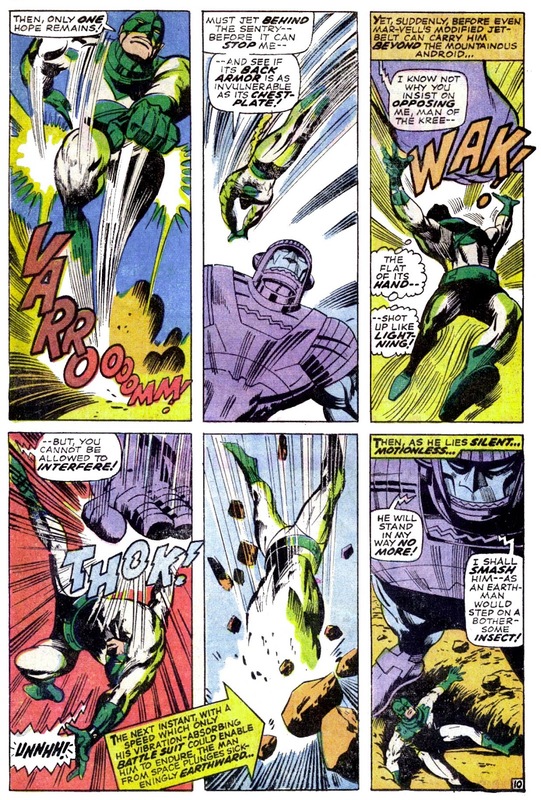 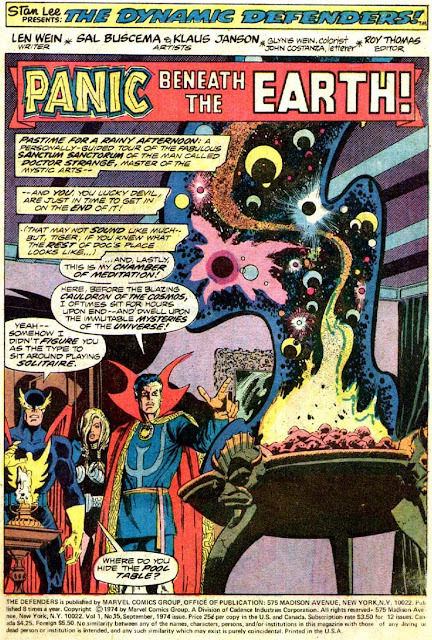 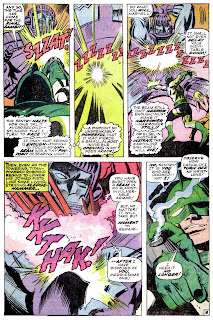 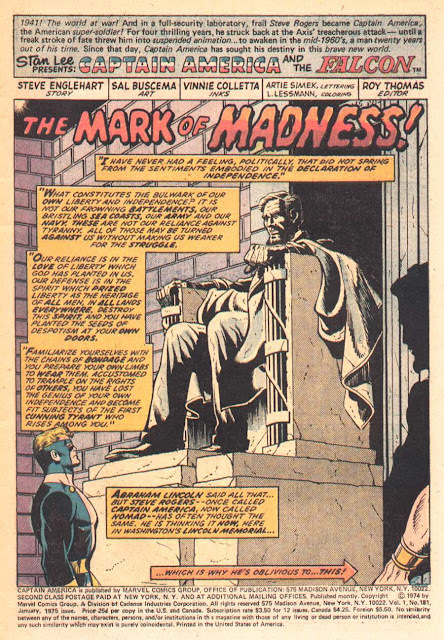 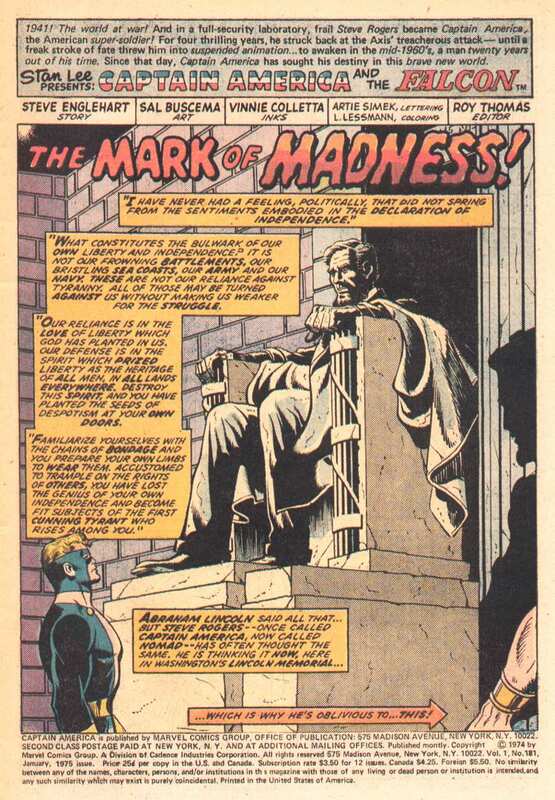 by Roy Thomas, Gene Colan, and Vinnie Colletta was intended to be the lead feature in MSH #14, but instead, the good Kree captain was promoted to his own mag, so the story wound up there in February 1968. Way to go, Marv! 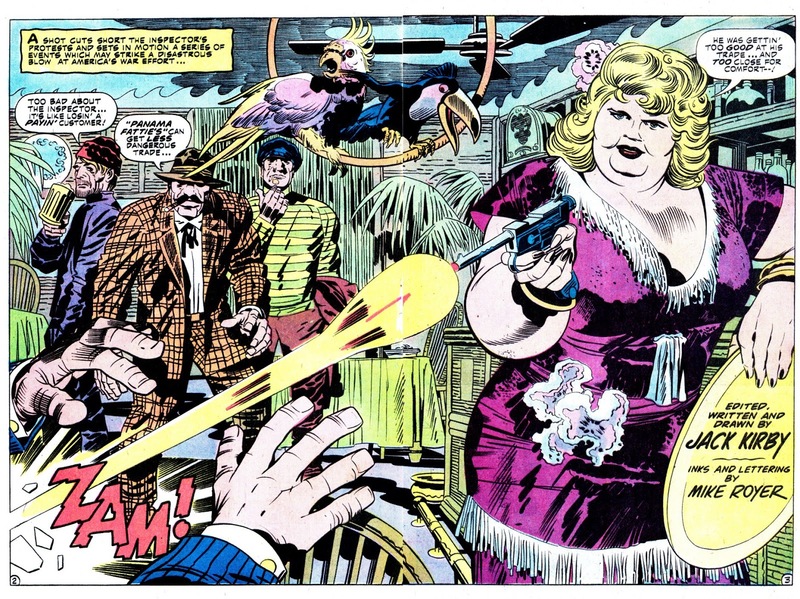 This mag is especially special (!) to Ol' Groove since it's the very first comic I ever ordered from one of the back-issue sellers that advertised in Marvel Comics back in the Groovy Age. 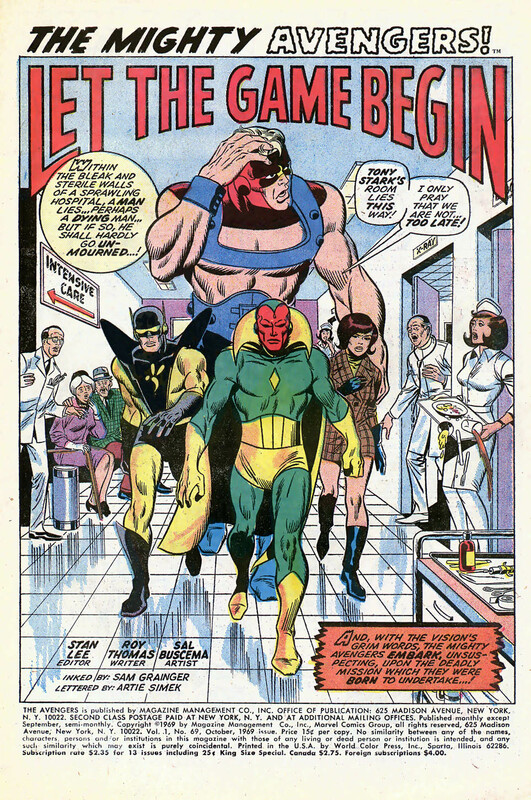 Wish I could say I remembered which one it was, though. 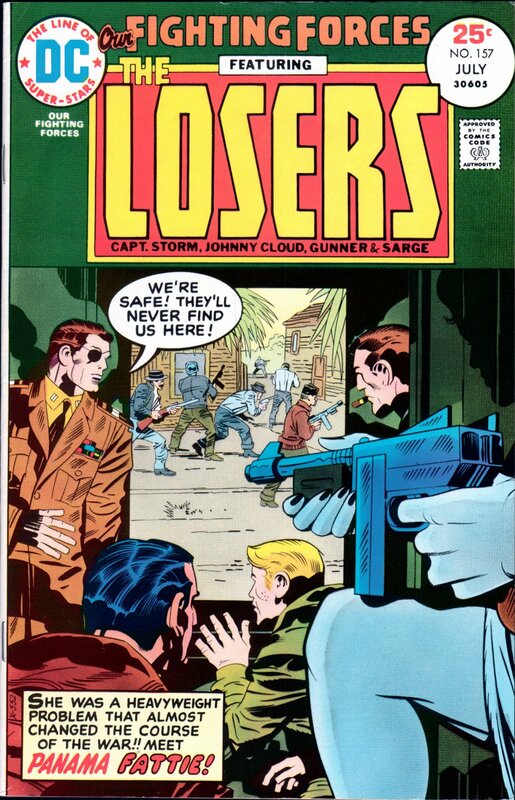 Yep, I took 10 bucks I got for my birthday and sent away for the first two issues of CM (ish #1 was five bucks, ish #2 was $2.50, so I had change left even after postage). My folks thought I was nutso, but it was my money, and I was a happy 12 year old when the mailman delivered those babies! 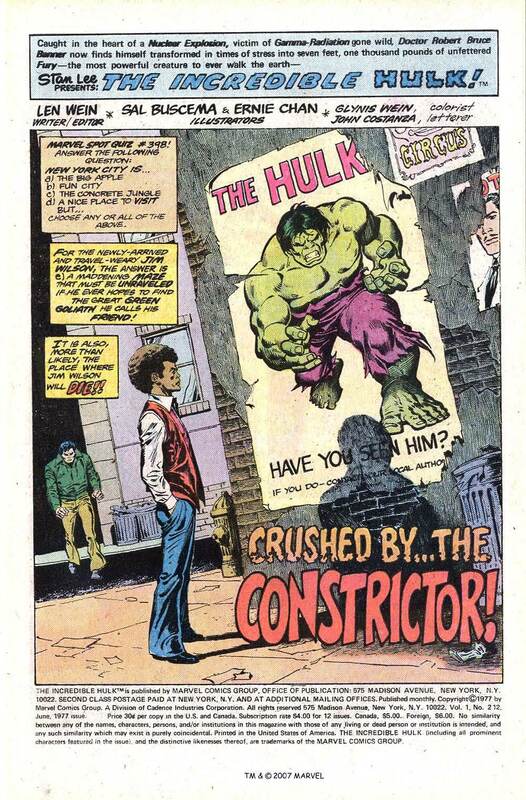 Hope you dig looking back at this classic! Happy Birthday, Sal! 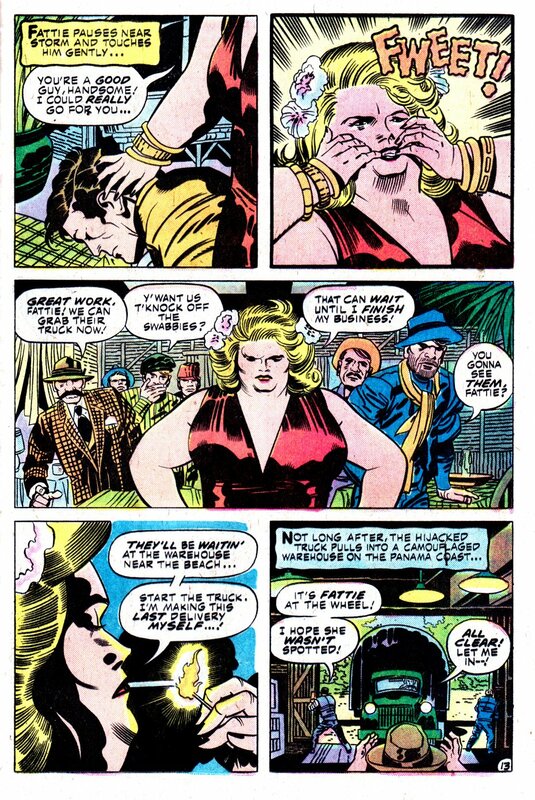 Groove City loves ya, baby! 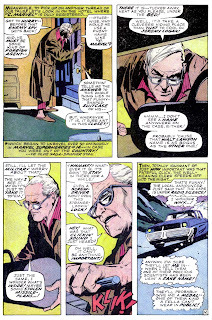 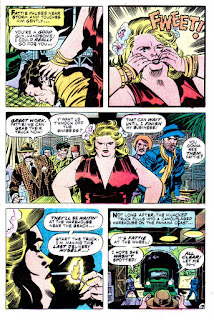 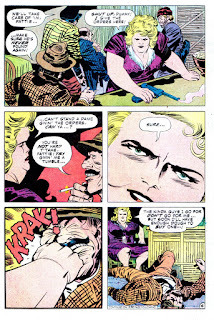 Random Reads: "Lower Than an Insect"
Happy 87th, John Romita Sr.
Random Reads: Little Lotta in "A Good Turn"